Arie has helped several of members of our family buy and sell their homes in Austin. He is a fountain of information about the city, and he is fun and flexible to work with. He was absolutely instrumental in helping us leverage the sale of our condo for purchase of our first house. We appreciated working with an agent willing to explain every process down to the last detail of every contract and legal element. I have never worked with an agent who not only shares his knowledge readily but really seems to enjoy doing it. He would be a great teacher! We are grateful for his patience as well, as we worked with him over many months before finding the right strategy for sale and purchase. Arie armed us with the information we needed to protect our interests, and he also seemed to always have time for us. We really felt taken care of. We consider him a valued family friend. It is a great joy to live in our house. Every other evening as we walk around the neighborhood, it feels magnificent to live here, and we thank Arie. I still remember how committed he was to meet our total satisfaction. He found us moving boxes, in the scorching hot weather, and brought them to us to help us with the moving. Choosing Arie as my realtor was an excellent choice. 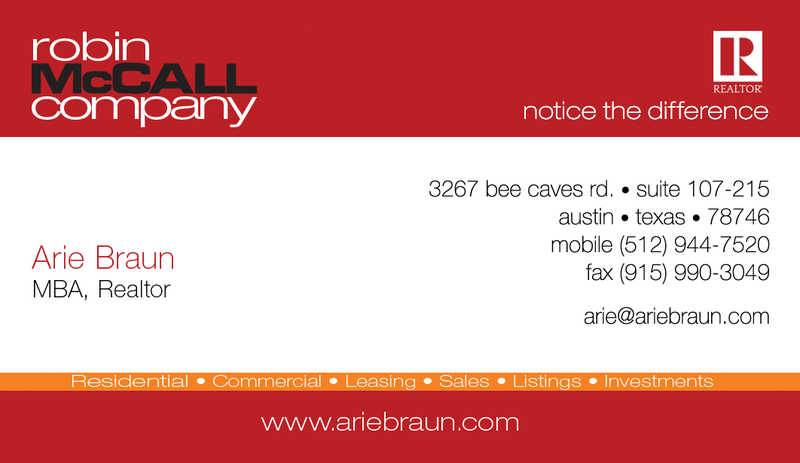 I tell anyone who is moving to Austin to work with the the best realtor in town - Arie Braun! Arie helped me and my guy find our perfect home in O-N-E day. Yes. You heard right. A single day!!! After telling Arie our vision and the feeling we were going for, he said he had the perfect house in mind for us. He was absolutely right! We were first time home buyers and completely overwhelmed with all the complicated details that come with purchasing a home. Arie took us under his wing through the entire process. He was available at all hours to explain and advise us on any of the numerous details we were stumped on. Arie is going to make sure you get the best deal possible on your home and will negotiate, negotiate, negotiate to make this happen. What makes Arie so special is that he knows everyone and can help connect you with anyone you will need on your home buying journey. He’s so awesome, we now consider him a good friend. I’m sure this happens a lot with his clients! My family and I were lucky to have worked with someone so passionate about his craft. Your service to date has been exemplary and we are very much looking forward to working with you in the future. Arie did an outstanding job helping me find a home and then negotiate the purchase. He is very knowledgable about the local market. He was also very helpfull during all steps of the mortgage process in letting me know what to expect. Simply wonderful, thank you with all my heart, my family and I thank you for helping us with buying a home, this has been a long journey and you have walked every step with us thank you so much. Arie is a wonderful addition to my family he helped me step by step on the process of getting my home. He went way beyond the act of a Realtor to help me and my family and he is still helping me believe it or not. Thank you for your kind spirit. I recommend him to anyone. Arie Braun is Austin´s BEST agent! We met Arie as the listing agent for a property we were interested in and immediately felt we found the right person to work with. He is trustworthy, personable and dedicated. No job is too small for Arie as he firmly is committed to do the very best he can to find the right solution for the client. Knowing that we were new to Austin, he took the extra time to help us get to know a variety of neighborhoods until we found the one that we liked the most. Because property moves so quickly in Austin, he worked diligently to identify opportunities the minute the listing was posted to make sure we would have a chance to preview it quickly. Arie was very accommodating to our schedule and worked long hours, put in the extra effort to help us succeed in finding the very right property for our needs. He is very easy to work with and demonstrates the highest level of professionalism and efficiency. We intend to use Arie for additional real estate services and would highly recommend him to anyone who plans to sell, purchase or rent property in Austin. I have bought and sold numerous houses over the years, and I have never found a more accommodating, hard working and conscientious Realtor than Arie. When I recently purchased my first home here in Austin, he expeditiously coordinated many professionals to ensure that my buying experience went smoothly. I also came to trust Arie for his excellent selection of referrals for moving, tree trimming, roof repair, etc., all of whom did an excellent job at a reasonable cost. I can't recommend Arie highly enough! Arie Braun is a flexible realtor who takes the time to get to know you, your lifestyle and meets all of your needs in your home. I first worked with Arie in 2010 when he helped us find our first rental in Austin. He helped us with our second rental in 2011 and finally he found us the home of our dreams to purchase in 2012. I've referred Arie countless times to friends and colleagues. I can't recommend him enough. He is extremely personable, explains documents in detail, goes out of his way to get information and is an overall great person to work with! Seriously, hire him! Arie is fantastic to work with, very thorough, and has great attention to detail. From start to finish, working with Arie has been a professional process. I've worked with him on numerous properties in the Texas area now, with excellent results each and every time. If you're looking for any type of real estate in Austin, look no further than Arie Braun. Arie was attentive, fast, creative, and efficient in getting us a space for our business. Beyond that, Arie was always accommodating to us, taking us anywhere we needed to go with regards to the search, and even having a cold bottle of water ready in the car. Specifically, for startups, he is a key asset helping you find the lowest rate with the highest quality possible in a space. Learnovate Labs is happy to associate with Arie Braun. Recently, my girlfriend and I decided to buy the townhouse in which she had been living for the past several years. We retained Arie Braun as our buyers agent. Both of us are busy professionals and had little time or knowledge about who to call and how to proceed with the purchase of a home. From pre-qualification to offer to contract to negotiation and renegotiation, Arie provided insight and advice that made the process smooth and less complicated. In every aspect of this transaction, Mr. Braun demonstrated knowledge, professionalism, and a total dedication to us, his clients. His efforts on our behalf streamlined the entire process. I would recommend Arie Braun, without reservation, to any of my friends, collegues, and family members looking to acquire property. 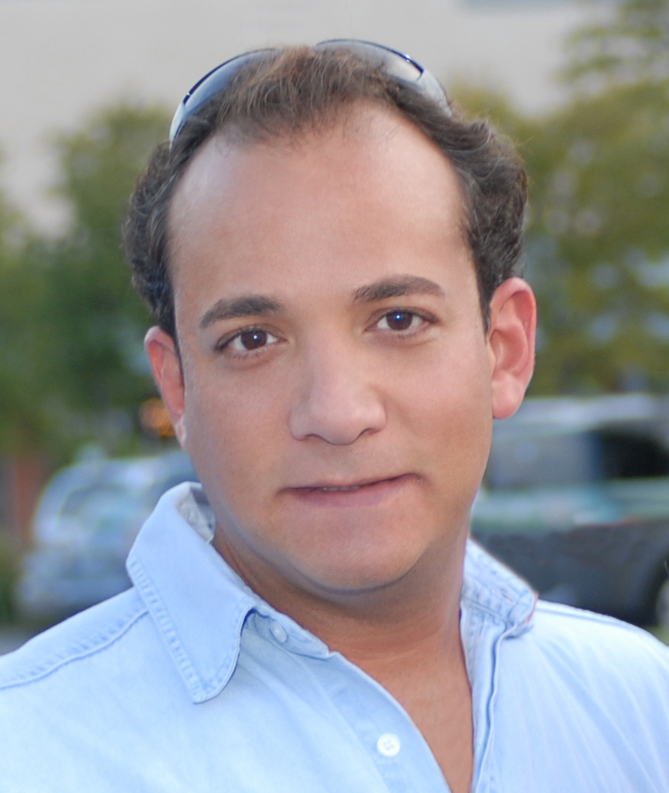 - David Sabal, Director, El Paso Methadone, Solutions For A Better Life!